Includes 2 runs down the strip – a 330 ft. run and a 1/8-mile run. Includes 3 runs down the strip - a 330 ft. run, a 1/8-mile run, and a full ¼-mile run. Hang on tight as you roar off the start line! Experience the thrill of reaching 130mph in a 10 second ¼ mile! 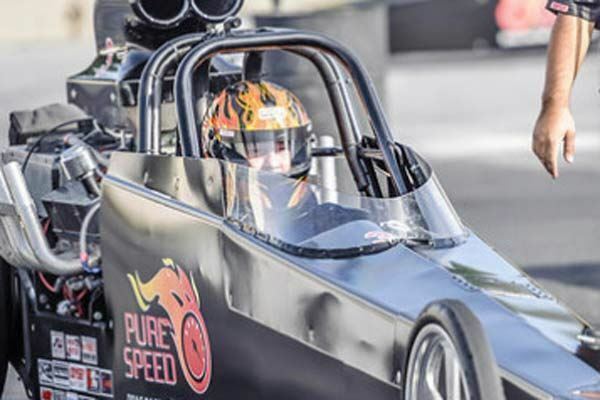 Feel the incredible power of the engine behind you and the G-force from the 800+ horse power dragster as it soars down the strip! After a briefing on safety and operational procedures you’ll do a track orientation and demonstration run. 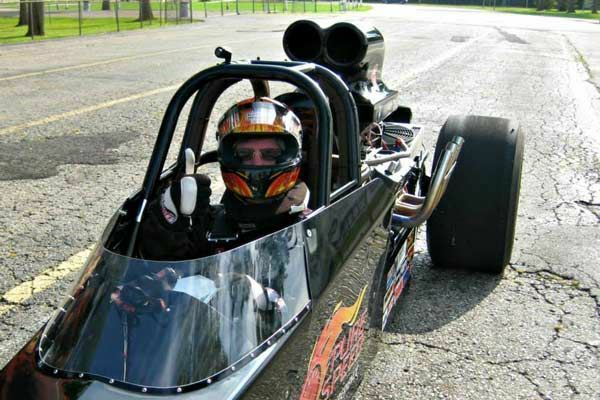 Then, it’s time to get suited up in your fireproof driver's suit and buckled into the high horse-powered dragster. 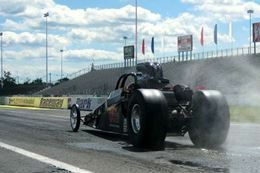 It starts with a long, smoky burnout followed by a full-throttle launch off the starting line. 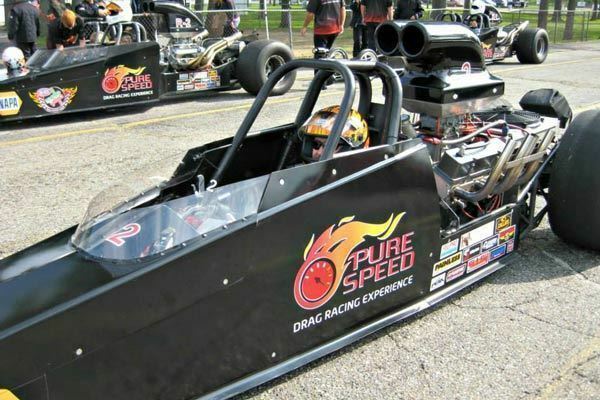 In just seconds you’ll reach speeds over 100 mph. Each run includes an electrifying burn-out and a heart-pounding launch off the starting line. You’ll be hanging onto the butterfly wheel with white knuckles! 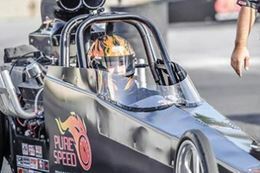 All runs are done incrementally with your first pass going to the 330ft mark, the second to the 1/8 mile and your third covering the full ¼ mile reaching speeds up to 130mph. The Qualifier – 2 runs down the strip – a 330 ft. run and a 1/8-mile run. 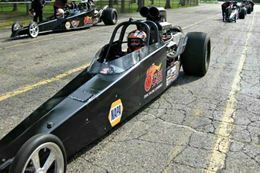 The Eliminator – 3 runs down the strip - a 330 ft. run, a 1/8-mile run, and a full ¼-mile run. 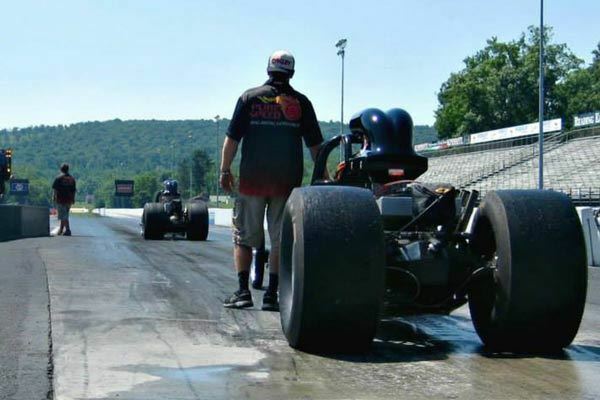 Unforgettable smoky burnouts and launches. Reach speeds of up to 130mph. Safety gear including two-piece driving suit, gloves, helmet, neck collar. Participants under 18 yrs of age must have a guardian or parent present and are required to sign a Parental Consent form. Drivers must be at least 5’ tall and weigh 100lbs. Maximum height is 6'5". Maximum weight allowable is based on proportionate sizing. No refunds will be given if you are not able to fit in the car. Dress comfortably for the weather in shorts or pants and a t-shirt. You will be required to wear a full racing suit over your clothing and a helmet. Please wear rubber soled shoes or sneakers. Open toed shoes are not allowed. Insurance is included in the price. 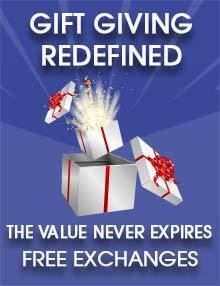 The policy covers all damages subject to a $1,000 deductible. 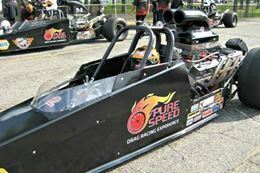 Whether you are treating yourself or buying this as a gift, this Dragster Racing Experience provides the ultimate thrill ride!